Navigating the Shadow World by Liv Spencer will be released on July, 1, 2013 (just in time for Canada Day). The book is onsale at Amazon.com for $10.36 USD or $11.66 CDN at Amazon.ca . An exploration as well as a literary celebration of the fascinating young adult fantasy series, this companion guide takes readers deep into the rich universe of Cassandra Clare’s New York Times–bestselling Shadowhunter Chronicles franchise. With intelligent yet accessible dissections of each volume of both the Mortal Instruments series and the Infernal Devices series, Liv Spencer delivers the next best thing to a Shadowhunter’s codex with commentary on the books as well as their references to folklore, legends, and literature. The guide also recounts Cassandra Clare’s publishing story, from journalist and fan fiction writer to bestselling author; explores the cast and crew who brought the first book to life in the film The Mortal Instruments: City of Bones, premiering in August 2013; and delves into the franchise’s fans, a passionate community that is anything but mundane. 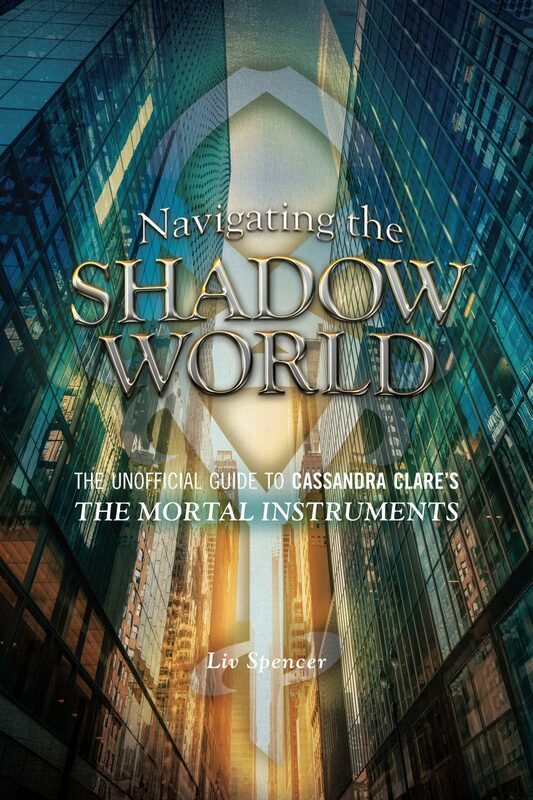 From the Clave to Chairman Meow and demon pox to dastardly ducks, Navigating the Shadow World is both an insightful introduction to the world of Cassandra Clare and a satisfying companion book for fans. Will you be buying Navigating The Shadow World?